From independent contractors to contract and temporary workers, more than 36% of US workers are currently participating in the gig economy. The benefits of hiring contingent talent, such as hiring flexibility and significant cost savings, are evident and more companies than ever are tapping into the gig economy. 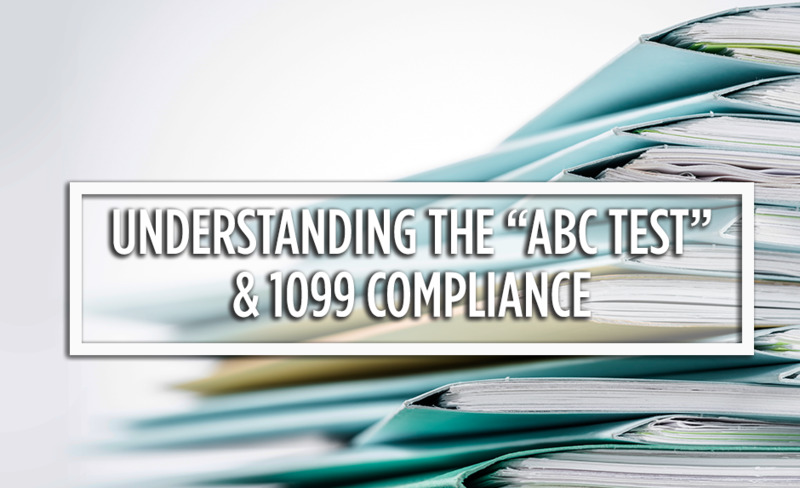 While organizations may be prepared to hire contingent workers, whether with the support of an internal talent acquisition team or by partnering with an MSP, many have realized that managing a contingent workforce can present complex ongoing compliance issues - especially 1099 compliance. The classification of your contingent workers requires more than determining whether a contractor qualifies as 1099. You also need to make sure that your organization and the contractor understand what’s required in order to maintain compliance with federal and state laws. This brings us to the most recent legal update that outlines the new standard for worker classification in California. Last year, the California Supreme Court issued its highly anticipated opinion in Dynamex Operations West, Inc. v. Superior Court, presenting a new standard for determining whether workers in California should be classified as employees or as independent contractors for purposes of the wage orders adopted by California’s Industrial Welfare Commission (“IWC”). (C) that the worker is customarily engaged in an independently established trade, occupation, or business of the same nature as the work performed. Does your organization have a proven process for classifying contingent workers under the “ABC Test”? Partnering with a 1099 managed services provider like Eastridge Workforce Solutions will simplify every step of the worker cycle, including on/offboarding, payrolling, auditing, and reporting. Contact us today to learn more about alleviating your 1099 compliance burdens.